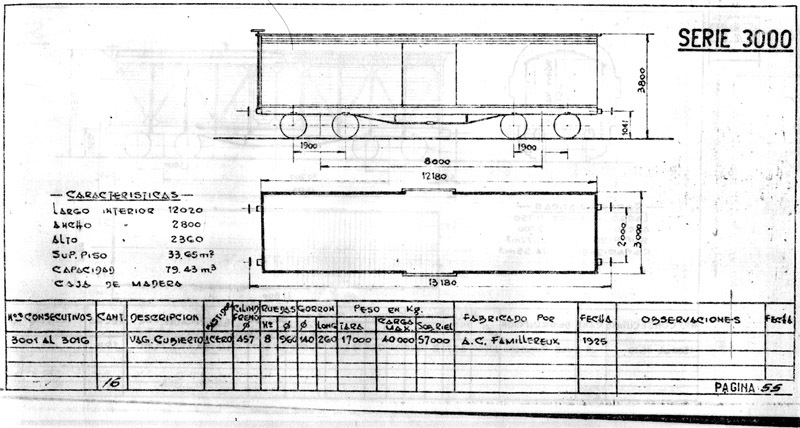 Nesseldorf/Ringhoffer 40 tonne capacity box cars / 'cubiertos'. 'Cubiertos reconstructed by San Antonio Oeste workshops on Nesseldorf/Ringhoffer plataformas. 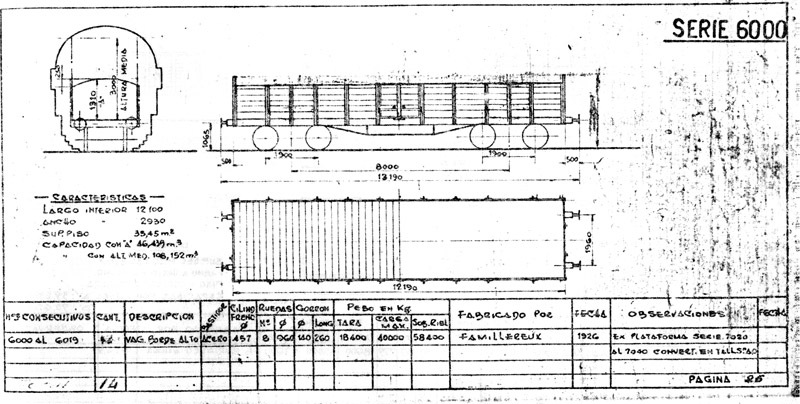 Hacienda wagons (double deck) reconstructed on Familleureux plataformas in 1945. 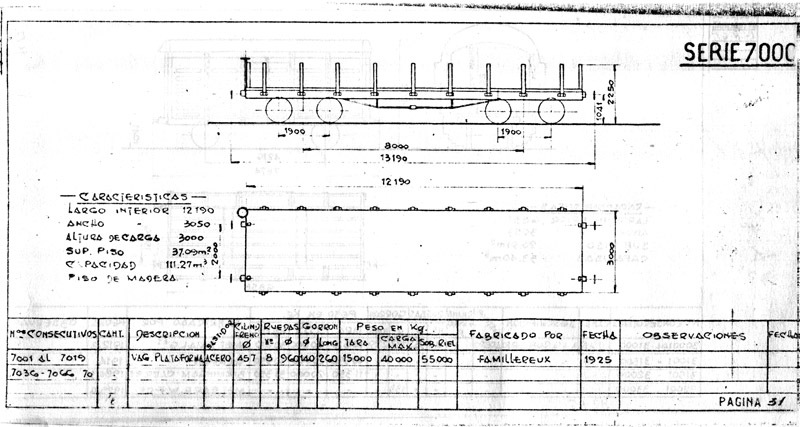 45 tonne vans built by Cie de Fer, Paris ?? ?, in 1910. 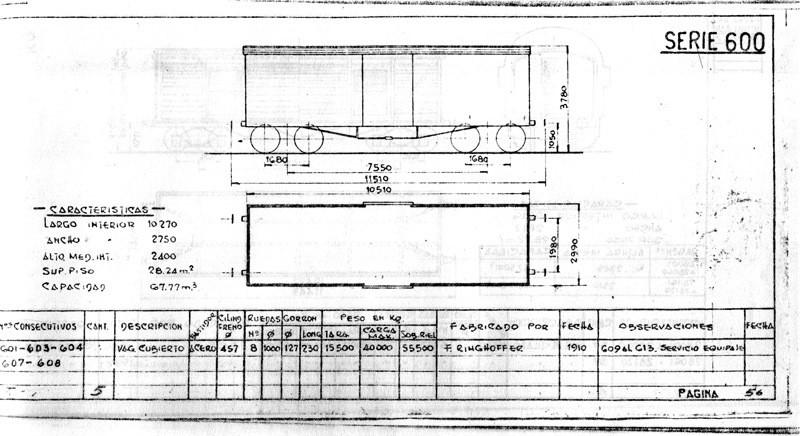 40 tonne vans built by Familleureux 1925. 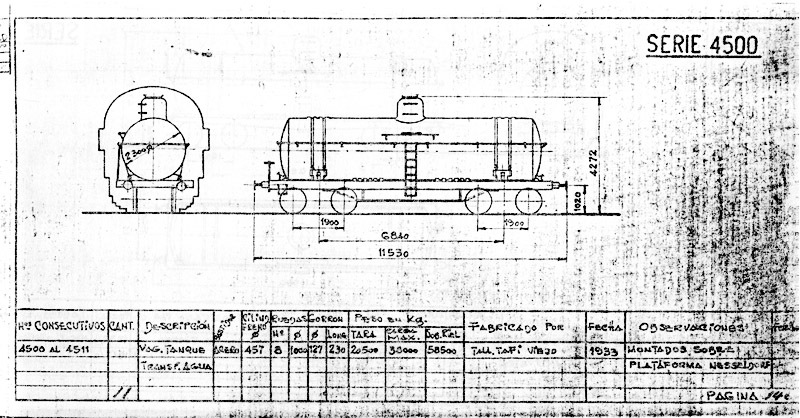 Nesseldorf/Ringhoffer plataformas rebuilt at Tafi Viejo workshops into tank wagons in 1933. 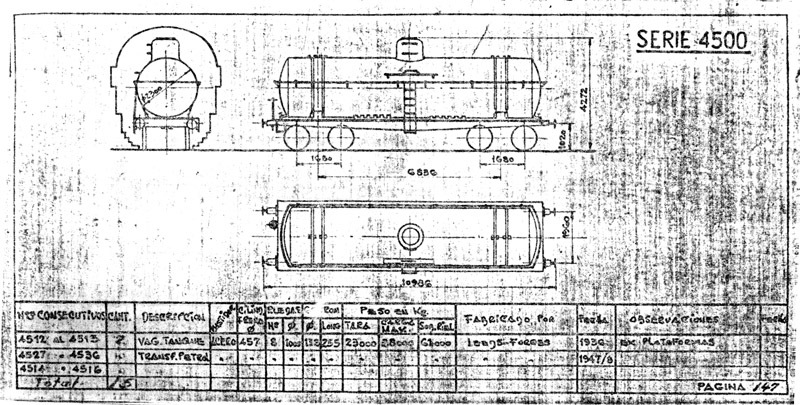 Leeds Forge plataformas rebuilt into tank wagons in 1936 and 1947-8. Familleureux plataformas rebuilt into 'bordes altos'. 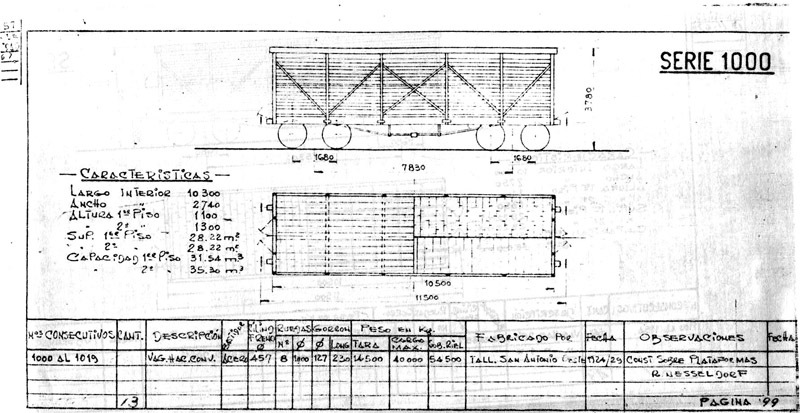 Diagrams scanned from FCE diagram book by Señor Sergio Barral.